Suzumiya Haruhi no Shoushitsu (涼宮ハルヒの消失) or The Disappearance of Suzumiya Haruhi movie was released in theaters in Japan on February 6, 2010. It was released on Blu-ray and DVD on December 19, 2010 and that was when I finally had a chance to watch it. 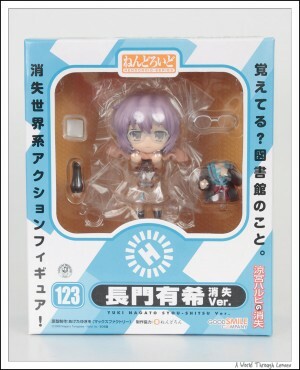 Now of course together with the movie, there are merchandises released such as nendoroids from Good Smile Company. 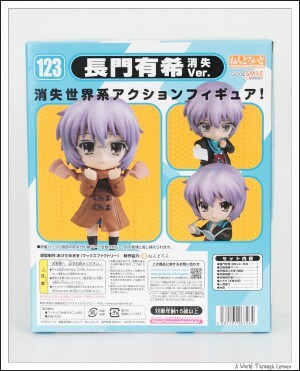 So far two nendoroids are released from the Disappearance movie – Nagato Yuki and Suzumiya Haruhi and I’ve got them both. First is the main character of The Disappearance of Suzumiya Haruhi. As much as the title say Suzumiya Haruhi, the main focus of the movie is actually on Nagato Yuki. Nendoroid Nagato Yuki Disapperance Version by Good Smile Company (ねんどろいど 長門有希 消失Ver.) Original sculptor Ageta Yukiwo (あげたゆきを (マックスファクトリー)). Released on November 2010 with MSRP of ¥3,500. 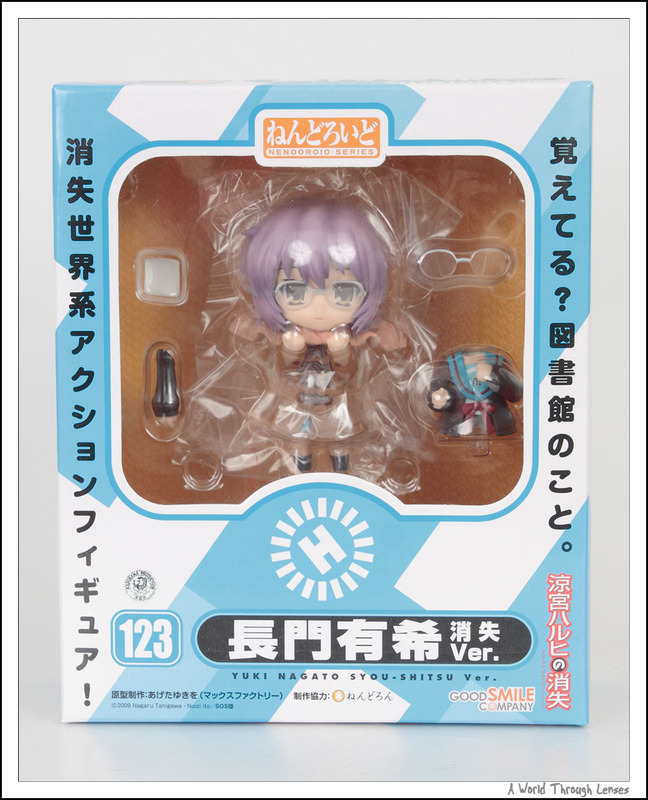 Here’s the box Nagato Yuki comes in.